What makes an unforgettable movie? My formula is simple. If I ponder the movie's message, if I get inspired to make a positive change, or if I tell my friends about it then I would consider it a hit. Bottom line....if it's great I just can't get it out of my mind. An old favorite that fits this description of unforgettable is the 80's classic, The Breakfast Club. The entire movie was filmed at a school, mostly in just one room and wasn't overproduced. The director didn't try to make the movie into something it wasn't, yet I remember it being so much better then some of it's blockbuster counterparts of the same era. The dialogue and characters made the movie. 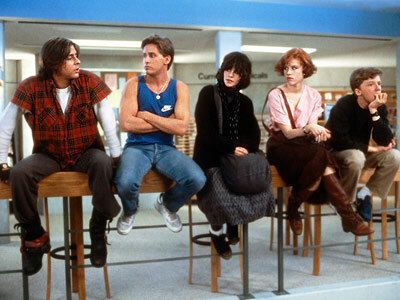 The Breakfast Club was a pure, simple and real movie. No special effects, big explosions, etc. The 2007 Castelo do Sulco Reserva is the Breakfast Club of wine. The wine doesn't try to be something it's not. There are no special effects like over-oaking to hide questionable flavors or added sugar to make it more appealing. Like the Breakfast Club, for $8 I don't want a wine that pretends to be something bigger and better. The winemaker at Sulco didn't try to make his wine taste like anything from Napa, Bordeaux or Piedmont. There are too many examples of wine in the under $10 price range that taste like an overdone Hollywood remake of Caymus Cabernet. The Sulco reminds me that it's possible to find an enjoyable wine that's well-made, simple, pure and still exciting to drink at a bargain basement price. For less then a movie ticket, you can enjoy this beauty. Why should you spend your hard earned $8 on this wine? The Sulco is a glimpse into what I think an $8 wine SHOULD taste like. The Sulco doesn't pretend to be a $30 Cabernet - it has very fresh and clean taste, with loads of tart, bright red fruit, a little bit of spice and just a hint of vanilla. If you appreciate wines like Barbera, Beaujolais, Oregon Pinot Noir, or even Sauvignon Blanc then give this wine a try. 2007 was a great year for red wine in Portugal, (and Port too) and was the highest rated vintage of the decade in Portugal from Wine Spectator. What does that mean? In a great vintage you can search out lower tier wines and find great values. Check out Spectator's Portugal chart below. 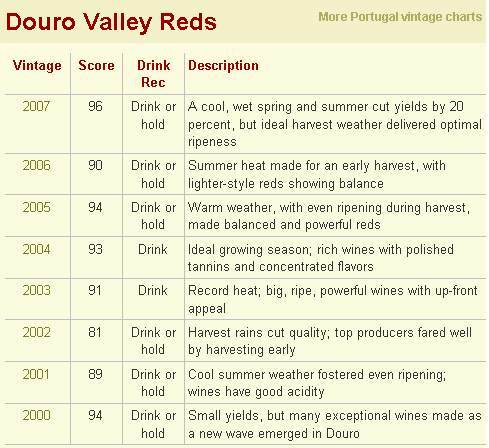 Please note the area lists Douro region, north of where the Sulco is made is Estremadura, but I feel that wines from all regions of Portugal in '07 are very strong. Douro is the only region that Spectator rates as a whole. Sulco is another great introduction to one of the most under-appreciated wine areas. Portugal is a treasure trove of great values. If you tried Portuguese wines in the past or if are worried these wines will taste like Port, erase that from your brain and try this wine. It's not rustic and "porty" tasting. It's bright, fresh, crisp and perfect for this time of year. "Well-balanced, showing plenty of elegance to the crushed red fruit, blueberry and wild plum flavors. Finishes with focused minerality that is accented by a subtle creaminess. Drink now through 2013 "
In stock now and next to the registers up front. You can reserve a bottle, a case or more by emailing me or just stop by the store. Over 60 different wines along with scotch and beer to taste and pair with food from 15 local producers and restaurants. Come hungry and thirsty! 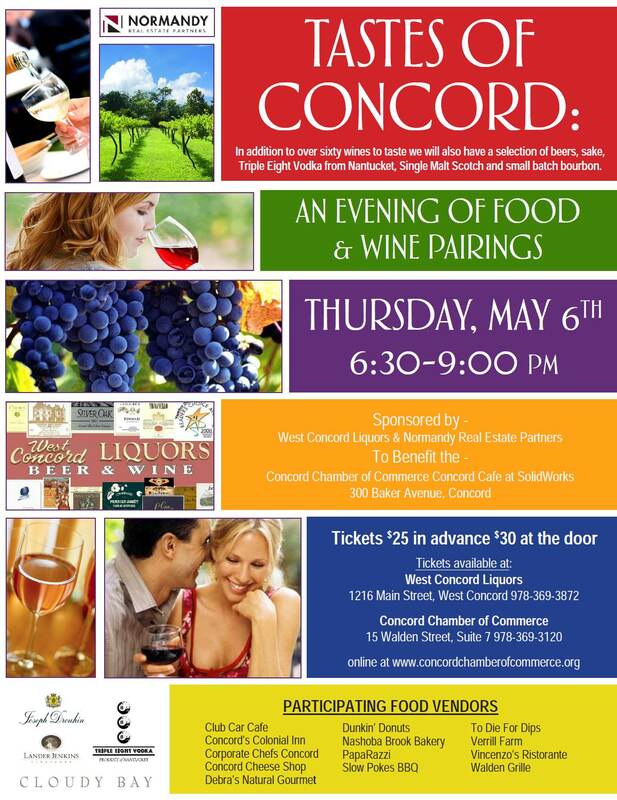 The Tastes of Concord is like a city event right in your backyard! Usually you have to go into Boston for something this big. Bring your 21+ family, friends and dates. Dress code is casual or dress to impress. The event benefits the Chamber's Scholorship Fund. Where: The Concord Cafe inside Solidworks. 300 Baker Ave in Concord. There will be balloons at the entrance! Deep within the temperature controlled wine warehouse there have been rumors about a beast lurking around. Supposedly, the Beast had been hiding in the shadows behind wine boxes because his body had pricker pins all over it. The keepers of the Beast at wine warehouse sort of forgot about him, and everyone else was just scared to meet him. Robert Parker had met him, but that was about it. 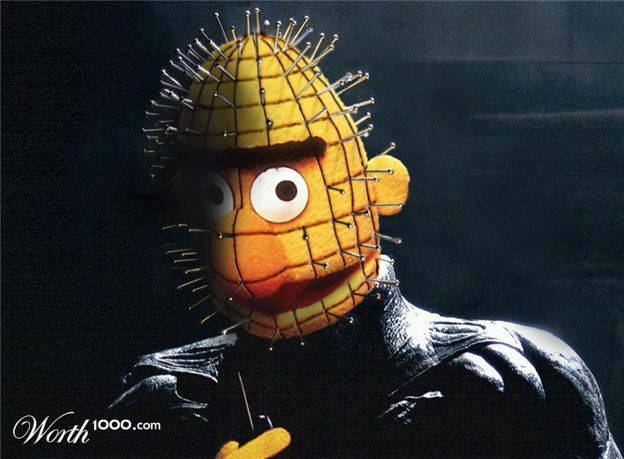 What nobody really knew was that those those pricker pins were actually made out of US Dollars. For over a year, the beast sat in cool darkness, making himself stronger, juicier, thicker, meatier, and more well-balanced. The Beast knew he would be released someday, but not until he shed some of those pricker pins. Little did he know that he would come to Concord. "BRING THE BEAST TO CONCORD!" 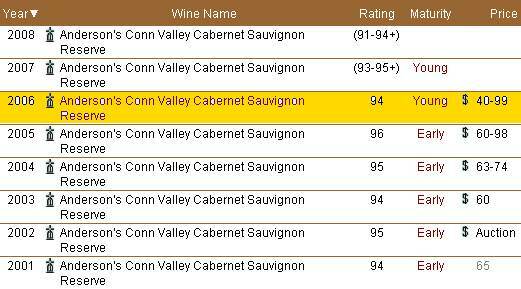 The Beast or what's more conservatively known as the 2006 Anderson's Conn Valley Reserve Cabernet is consistently one of my favorite Napa Cabs. Sometimes when I drink wine over $50 (and if I'm feeling critical) I begin to wonder whether or not I could find a wine half the price that's just as delicious. But with Anderson's Cab and others like Chapellet and Newton you actually GET what you pay for. And at 40% off this 2006 is a steal. Not to mention Anderson's is a family own and operated vineyard with estate grown fruit. How did we get the price so low? The distributor has their Anderson's 2007 Napa Cab arriving shortly, and the demand for '07's is so high that we were able to beat up the distributor a little bit and get this wine for a discount. Check out this table from Robert Parker's website to see just how consistent the Beast has been over the last decade. On Sale now @ $39.99 (40% off) Tell me if you can find a better price anywhere in the country! We will be closed on Easter Sunday, but we are open Saturday until 10:30 PM. Thanks! Me: "A good Bordeaux from the Medoc is a classical pairing with lamb....so, how about a 94 point, $60 Bordeaux from Pauillac?" You: "In your dreams, Chris....I've got my mother-in-law coming over"
Me: "Then I have just what your looking for....meet my pal, Roland La Garde"
If you follow world of Bordeaux, you know that 2005 has been hailed as a vintage DEEP in quality. In lesser years, one must seek out the more prestigious Chateau's to find the best quality wines. But when the weather conditions are perfect as they were in '05, you can find amazing pedigree in an everyday wine. The 2005 Roland La Garde is in the "DRINK NOW" window. Like Wine Spectator, I think it's perfectly balanced. What do I mean by balance? It's not too tannic, not to acidic, not too fruity, etc. No single element of the wine dominates and leaves your mouth feeling a certain way or unpleasant. Instead there is perfect harmony - a wine that you can easily enjoy more then a glass. Split between Merlot and Cabernet Sauvignon, the La Garde is very dry, has a medium to full body mouth feel with plenty of red fruit fruit flavors, followed by moderate tannin and with a slight dose of the classic Bordeaux cigar box/cedar flavor. Let this baby open up for a while before you drink it! Open it a couple hours early or use a decanter if available. One of my favorite wine geek a.k.a. cork dork quotes is, "Friends don't let friends pop-and-pour!" "Dark in color. Slightly earthy and funky on the nose, but there's plenty of ripe fruit. Full-bodied, with soft, integrated tannins and a long, caressing finish. Balanced."